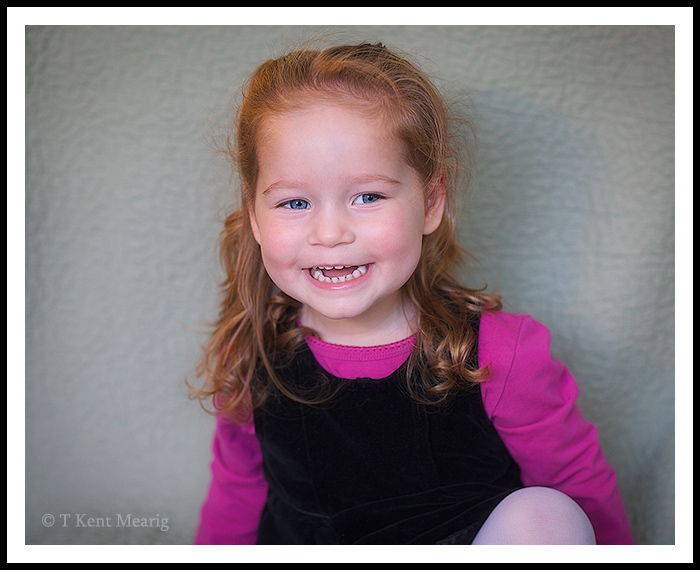 If I were only allowed a single portrait subject for the rest of my life, wouldn’t it be an obvious choice? Della’s charm continues to overcome my limitations as a photographer, the whole operation ends up resulting in quality family time. You can’t complain about that. For those lacking a studio lighting set-up (as I certainly do), I suggest taking advantage large windows and the brightest time of day. This photo was made while the sun remained mostly hidden by high overcast, and the window light was supplemented by three single-bulb lamps in corners of the room.